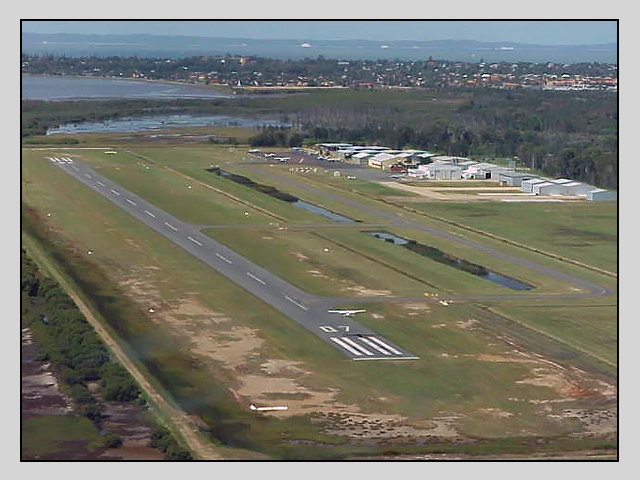 Norm had learned to fly at Archerfield, which was a long drive from Redcliffe in those days, and he was determined that the community should have its own airfield. He spotted the potential sight whilst returning from one of his many flights to Thursday Island. He was greatly enthused and his wife, Jean, recalled she was horrified when he took her to the location. “I had to wade through knee deep water, she recalls but Norm was serious and he set about gaining support”. 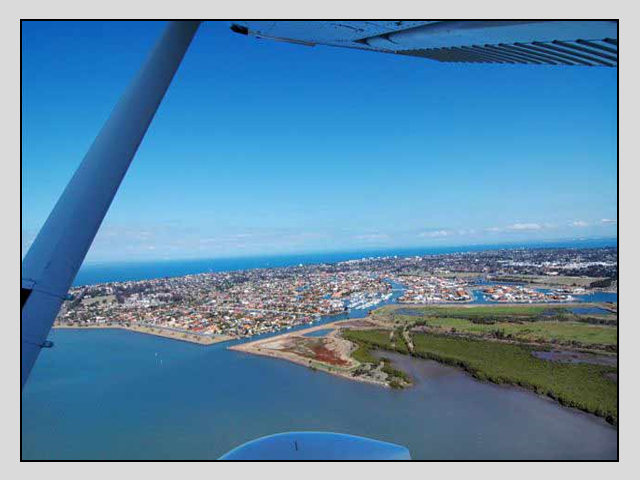 Around 1965, armed with local support of the Redcliffe City Council, medical professionals and pilots, approaches were made again to DCA; the vital link of radar coverage was in place and approval was granted. Mr Kevin Tibbitts, the city engineer, told me how the balance of material required was obtained and is still in evidence today. The site did need draining and a channel was cut through the mangroves to achieve this. However, the channels one can see today bordering the field were dug to provide the balance of fill material to form the basis of the runway. The works required to achieve this were eventually completed and licence was granted on the 8th October 1971. 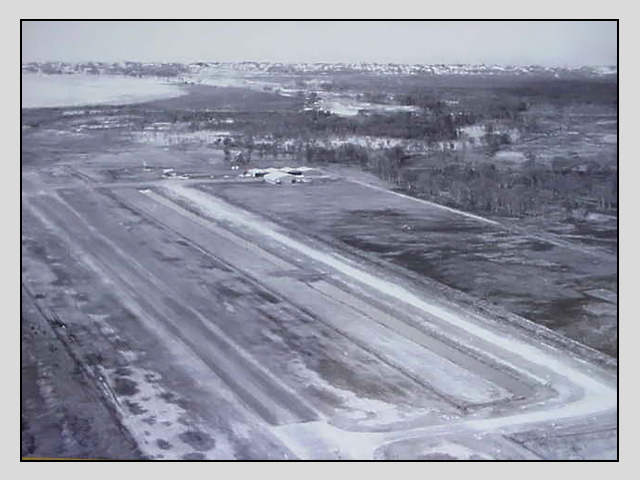 The Club’s first hangar was constructed in April 1972. That year the field was inundated by king tides which ultimately led to the Redcliffe City Council constructing the levee bank we see today. 1972 was the first time the Redcliffe airfield was listed in the DCA publications. Initially, club training was a shared arrangement with Mr. Norm Thurecht’s Redcliffe Flying Service. The first office was shared between the two organisations and was originally a building moved to the airfield from Krebs Sawmill and was located adjacent to Nathan Road, which was then a barely passable track. Subsequently, a new building, which exits today as the fibro building located to the west of the clubhouse was constructed. The task was undertaken by Mr. Graham Keilor and Mr. John Farrell and commenced in February, 1973. The Club benefited from the generosity of Mr. David Eban, who offered a building he had acquired, for use as a clubhouse. The offer was accepted and on the 18th November 1978, the Club moved premises. It was subsequently destroyed by fire in 1993 and the structure that exists today was built. 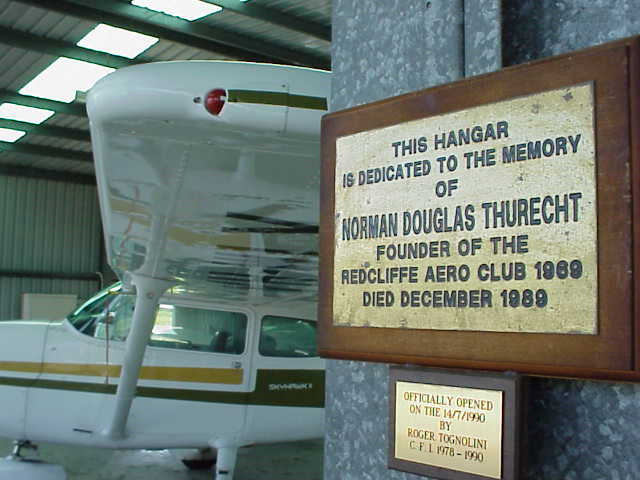 The club constructed it’s new hangar which was officially opened on 14th July 1998 and named the Norman Thurecht Memorial Hangar. 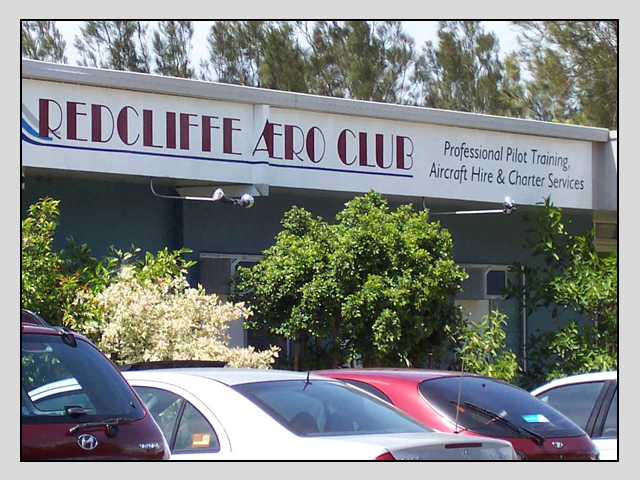 Over the years, many people have contributed to the success of the Redcliffe Aero Club, which has a proud record of achievement. Many students have gone on to have successful careers in aviation and the Club continues to grow in reputation and size – may it continue.